In the 4th book of the series, Katy is now locked up with the DOD and is being used for testing as a group of people are trying to figure out how to mutate people so that they are perfect humans. Daemon is a mess with Katy gone. He will stop at nothing until he gets her back. As the testing begins on Katy, she learns what Daedalus is up to and what he’s trying to accomplish. She knows that Daemon is a big part of that and when Daemon enters the facility willingly, she thinks that Daedalus is going to get what she wants. Daemon is beyond happy to be with Katy again, but he quickly sees the scars (both physical and emotional) that Katy has experienced while she was in there. He’s seen her break and knows that she is going to need him now more then ever. He devises a plan to get them out, but it involves making a deal with Luc, someone who may or may not have betrayed him before. Daemon and Katy will learn that the big picture is bigger then just the two of them. This book is not like the other three books. This one has action right from the beginning and doesn’t stop until the end. Yes, there is a cliffhanger and unfortunately we have to wait until the 5th and final book comes out, but it is worth it. 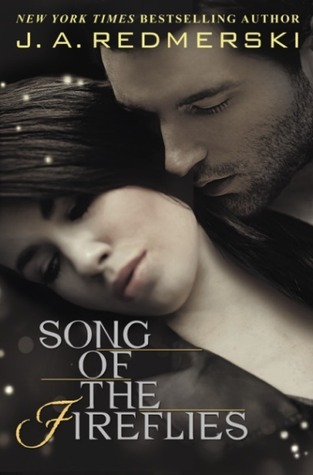 Katy and Daemon’s relationship is really put to the test in this book. They are no longer in that honeymoon phase as Daemon has to prove that he can protect Katy and that he can be there for her. Katy loses her stubborness and willing to fight with Daemon about everything after being in the facility. No doubt that she changed while she was in there and it’s unclear if she will get it back. There is an impending war coming and you know that when it does, it’s going to blow your mind. Daemon and the other Luxen did something crazy to get themselves out of a sticky situation, but they soon learned tat every choice has a consequence. Daemon is only concerned with Katy and that makes him feel guilty, but after Dawson reveals a further situation, Daemon knows he has to be the leader to help save his family. No doubt the last book is going to leave us with wanting more as we get to see the battle between the Luxen and the humans. Considering how the last few books have gone, it’s hard to say that anyone is ‘safe’ from being killed. Armentrout has already killed core characters and really shows no hesitation when doing that. This really helps the story, because with war, you never know what’s going to happen. 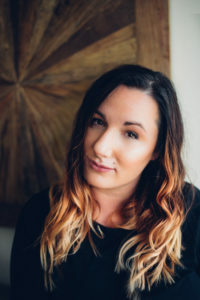 In the 2nd book of the series, Katy and Daemon are dealing with the consequences of Daemon healing Katy and the connection that they have. Katy believes that the only reason that Daemon is interested in her is because of the connection, despite what he says. She tries to move past him, but can’t seem to do that. She meets the new kid in town, Blake, and tries to use him to have a normal ‘human’ relationship but Daemon isn’t having any of that. He tries harder to make Katy see that what he feels for her is real but Blake continues to complicates things as he also tries to win Katy’s affections. As the story progresses, Blake shows more of his true colors and they Katy and Daemon both learn that Blake is not who they thought he was. Not only does Katy have to deal with the whole dilemma with Blake and Daemon, but the changes in her body since she was healed by Daemon. She starts having these powers where she can manipulate things but she doesn’t know how to control it. Katy quickly learns the consequences to her decisions and learns how to become a strong woman who she believes is deserving of Daemon rather then some person who he feels the need to ‘protect’ but as the world starts to crumble around them, Katy quickly learns that together they are the strongest not apart. And this can’t come at a better time as ghosts from Daemon’s past start to creep into their lives. At the beginning of the book, we see a lot of Katy and Daemon are arguing about their relationship or lack there of. Daemon does anything he can to convince her that he really does have feelings for her and it’s not because of the connection. I like how human-like Armentrout makes Daemon seem. Usually in fantasy books, the alien is some weird non-emotional kind of being. Armentrout has made the aliens like humans with powers and it makes the characters a lot more relatable that way. Katy is a very frustrating character in the book, but in a good way. Throughout the book, I was getting angry with the way that she was acting, whining about how Daemon is too good to like her and just using Blake as a way to make him jealous. Then she totally distrusts everything Daemon says and goes with someone she barely knows. It seems like she just goes out of her way to do things to upset Daemon. I know she’s stubborn but it was annoying after a while. That all came full circle as the story came to an end when we finally see why she did all those things. She wanted to grow as an individual away from Daemon and I could understand why she would want to do that. There wasn’t as much action in this book as the first book, but the story line was far more interesting. There is a lot of plot points that help really set up the rest of the series. We get some unexpected surprises and some that were fairly predictable. I like how Armentrout used the predictable surprise to show the unexpected surprise. It was a nice segway between the two. The rest of the series should be fun to read as the plot continues to thicken and inevitable war is created and rages on. 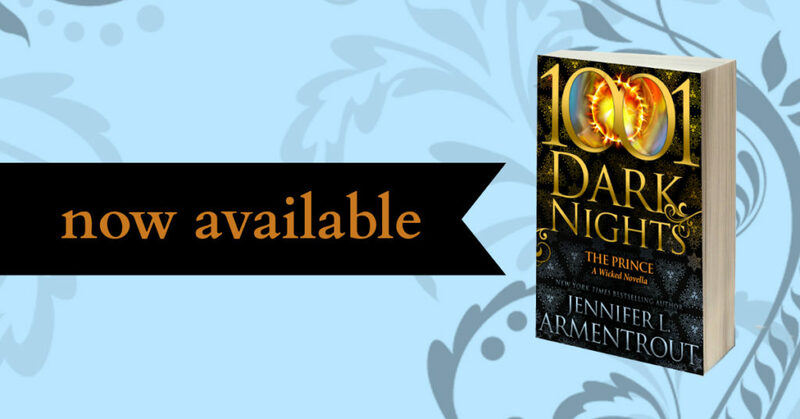 It’s going to be interesting to see all the new secrets revealed and how many other twists and turns that Armentrout has up her sleeve. After the successful but disastrous raid on Mount Weather, he’s facing the impossible. Katy is gone. Taken. Everything becomes about finding her. Taking out anyone who stands in his way? Done. Burning down the whole world to save her? Gladly. Exposing his alien race to the world? With pleasure.All Katy can do is survive. Surrounded by enemies, the only way she can come out of this is to adapt. After all, there are sides of Daedalus that don’t seem entirely crazy, but the group’s goals are frightening and the truths they speak even more disturbing. Who are the real bad guys? Daedalus? Mankind? Or the Luxen?Together, they can face anything. But the most dangerous foe has been there all along, and when the truths are exposed and the lies come crumbling down, which side will Daemon and Katy be standing on? And will they even be together? In the stunning climax to the bestselling Lux series, Daemon and Katy join forces with an unlikely enemy to ensure the survival of not only their love for each other, but the future of all mankind. 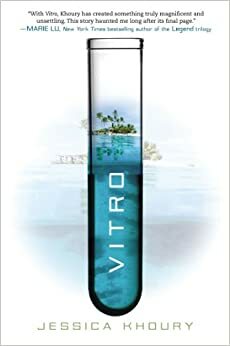 To help celebrate the contest that she is having to promote the upcoming 2nd book of the Origin trilogy, Vitro, she has released the first three chapters of the book. Yesterday was the start of the contest that she is having for the upcoming book. During this contest, you can unlock details from the book or prizes from the Origin trilogy, that include copies of the books, tote bags, or even a brand new Nook. To enter into the contest, you can go here: http://www.corpusnetwork.com/. This is the 2nd book in the Origin trilogy and it continues with the story of Sophia and Jim as they try and figure out their purpose on Skin Island and why they were created. This book is set to release January 17th. What did you think of the first three chapters? With the start of the new year, some authors have started promoting their books that they are releasing sometime this year. 2014 looks like it’s going to be a big year for books coming out, not just sequels, but also the beginning of some book series or stand-alone novels. Some big names that are releasing books this year are: Cassandra Clare, who has 3 books coming out this year; J.K. Rowling is going to have two books coming out which will add to her already busy year making the Harry Potter spin-off movie; as of right now, James Patterson has 15 books set to come out this year, 8 of which are just his; and one the best Romance novelists Nora Roberts has 5 books slated for 2014. For now, there have been a few books that have already released some previews for their upcoming books. This is a novella for the One Week Girlfriend series. This novella comes in between the third book in the series Three Broken Promises, which came out December 31st, and the upcoming 4th novel Four Years Later which comes out February 25th. In this novella, the main couple Drew and Fable adjust to his life as a pro NFL player. The Novella comes out January 14th. This is new book from the author that brought us the Never series with Camryn and Andrew. This is the story of two best friends Bray and Elias who try to help Bray deal with her dark history. The book comes out February 4th. Proxy is a thrilling ride that has a lot of action and drama, perfect for fans of The Maze Runner and Divergent. It’s a different kind of Young Adult fiction that we’ve been seeing as it’s more of a story about friendship and doesn’t really have a romantic story (at least as of yet). The story has diversity such as one of the main characters is gay and pushes themes and thoughts that we didn’t normally read about. This book is another rebellion book, but not the kind you are used to. *This excerpt contains spoilers from Proxy, so if you haven’t read Proxy yet, then you might want to hold off on reading this excerpt. In other news, Dan Wells has announced that he is going to be releasing a novella for his Partials series. There are two books already out Partials (out February 28th) and Fragments (out February 26th). The third book, Ruins, is set to come out March 11th. 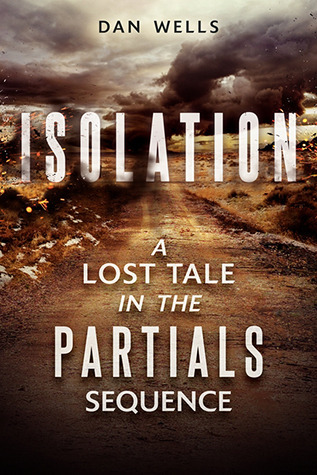 The novella, Isolation, is a prequel for the series and takes place two decades before Partials. It’s a small novella but certainly should add to the story. 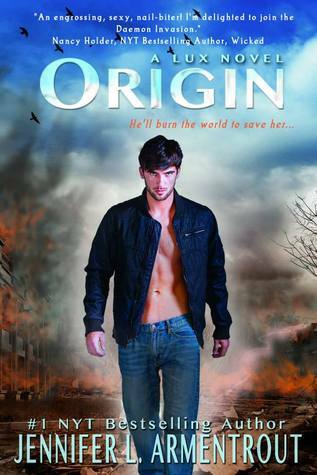 Jessica Khoury is doing something fun for the promotion of the 2nd book in her Origin trilogy, Vitro. Starting yesterday, she is having a competition on her website that will uncover bonus material from Vitro and win prizes. This is perfect as it will give the fans something to do until the 2nd book is released January 14th. James Patterson has done essentially any genre out there, but he hasn’t touched to much on the romance part. This year, he is releasing a book with Emily Raymond about two young people and them falling in love for the first time. Right now, the first 12 chapters are available for free for the e-readers.